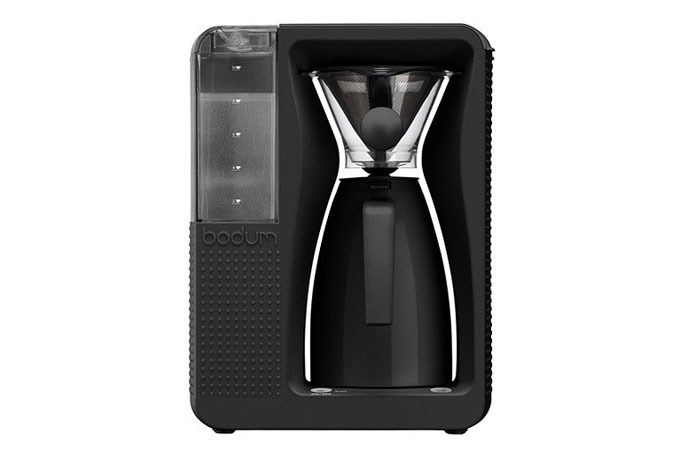 Bodum is a name that even people who don’t drink coffee are familiar with. Their French press is the be all, end all when it comes to French presses. We love the one we have, but it’s also inconvenient on those days you’re running late or you need a few cups to get going. Bodum turned their eyes to drip coffee machines and the Bistro is what happened. The water tank is removable. The water itself gets heated and distributed by a spiral heating element (that brings it just shy of a boil) and a glass pipe to it’s final destination, a shower head that evenly distributes the water over the grounds. The freshly made coffee drips into a removable thermos that keeps the coffee warm. 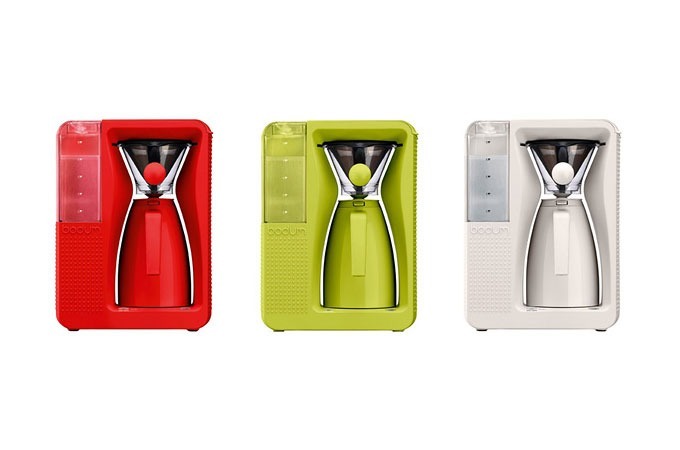 In other words, it’s a coffee machine that wasn’t just redesigned–it was re-engineered.